When you crave to unleash the power of pent up energy and an urge to feel the adrenalin pumping and coursing through your veins, it is time to head for a Motorcycle Tour! Indian Rides has concocted the perfect recipe to deliver just that. Having a penchant for and huge experience in conducting the best Motorcycle Tours in India has made them a name to reckon with. The well thought of itineraries are planned around the best time and seasons that you can experience in this majestic land. While each of the tours caters to a particular geographic location, it brings to the fore the very essence of the place so that you get the taste and feel of every little nuance. These itineraries are interwoven with the various festivals celebrated in the different parts of India, in a bid to ensure that while you are on the Indian turf you get to experience its culture and traditions up close and personal. With the winters formally announcing their arrival with snowfall in the north, the winds blowing towards the plains bring with them cold waves. The sun shines bright in the clear blue skies above making it the perfect combination to get astride the Royal Enfield to enjoy the festivities around this terrain. The month of January brings in the festivals of Makar Sankranti, Pongal, Uttarayan and Lohri. While the names are different these festivals mark the celebration of the Sun and the harvest. Makar Sankranti is celebrated mainly in the states of Rajasthan & Gujarat and typically marks the transition of the sun in the zodiac. It is celebrated as the kite festival of India. The blue skies are dotted with kites as people compete to cut off the rivals’ kite as they see theirs soar high up. People enjoy goodies, music and festivities on the terraces as they soak in the sun’s brilliance. 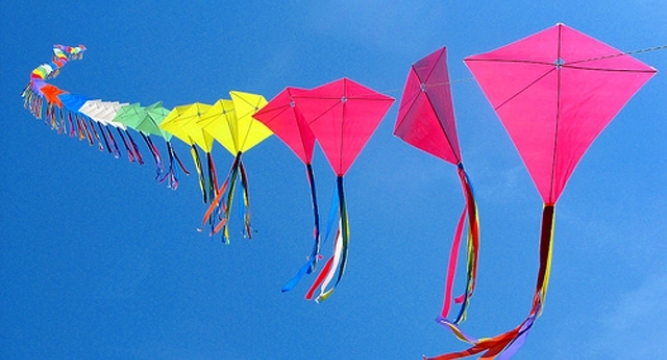 In Gujarat the kite festival is known as Uttarayan. While in Rajasthan people savor sweets made of jaggery and sesame seeds called “Til ke Ladoo” and “Gajak”, in Gujarat people eat “Undhiyu”, a spicy mix of winter vegetables and “Chikkies” made of peanuts, sesame seeds and jaggery. 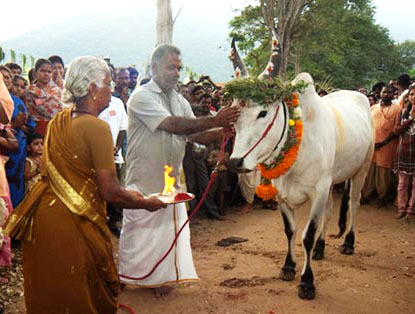 Pongal is a four day harvest festival celebrated in Tamil Nadu and is marked by festivities all around. This festival denotes thanksgiving to the nature for blessing the people with its bounty. This also marks the beginning of the wedding season and is considered very auspicious. 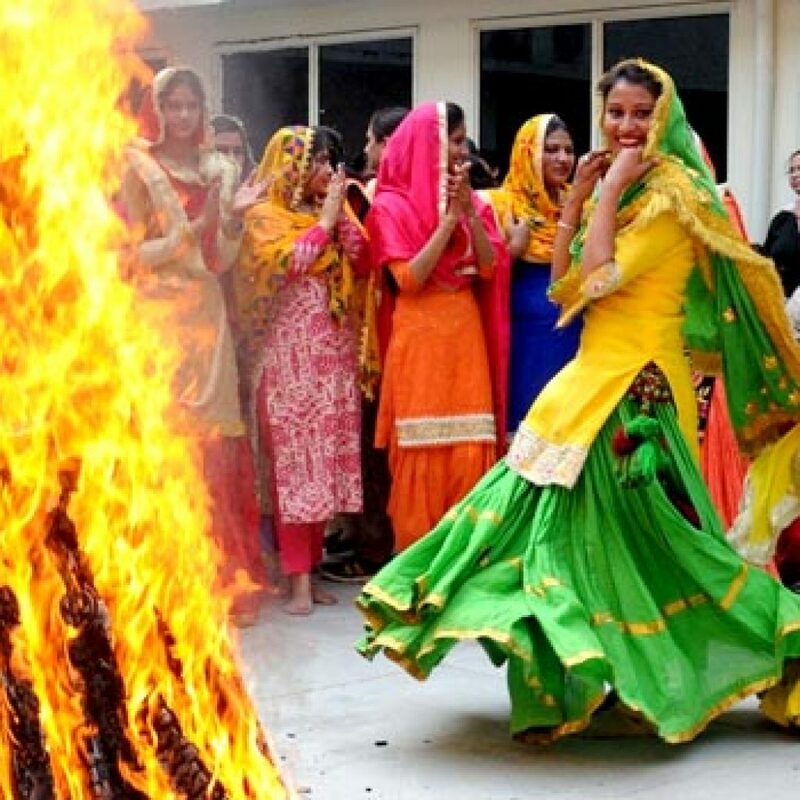 Lohri , the harvest festival is celebrated with great fanfare. It marks the onset of mid- winters. From this day on winter is supposed to start waning bit by bit. The day is earmarked with bonfires, and people dancing and singing to drumbeats. Typical food items like “Gajak”, “ Revari”, “Sarson ka saag”, “Makki ki roti” are some of the mouth watering and lip smacking dishes that are eaten to celebrate the goodies that this season brings. Motorcycle Tours by Indian Rides ensures you get to enjoy the festivals in their full swing. They plan their tours to coincide with the seasonal festivals so that as you tour this vast terrain you also glimpse India in all its tradition, color and culture.